Agrigento lies along the south coast of Sicily, connected to the rest of the island by an extensive network of streets and by rail. 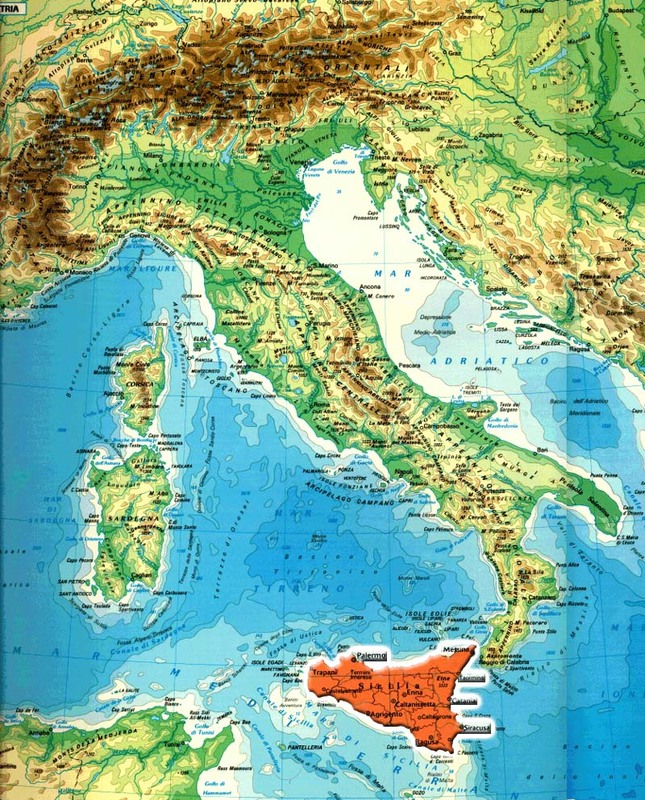 By car: from Taormina, take the Autostrada A18 for Catania. Continue on the A19 toward Palermo and take the Caltanissetta exit. Continue on Statale 640 until you reach Agrigento. From Palermo, take Autostrada A19 toward Catania, and exit at Villabate. Follow Statale 121 and continue for 118 km until you reach Agrigento. From Siracusa, follow the coastal route on Statale 115 via Noto, Ragusa and Gela until you reach Agrigento. If you are coming from continental Italy, take Autostrada A3 Salerno-Reggio Calabria, and exit at Villa San Giovanni, then take the ferryboat for Messina. From Messina, take the Autostrada A18 for Catania. Continue on the A19 toward Catania-Palermo and take the Caltanissetta exit. Continue on Statale 640 until you reach Agrigento. By train: Agrigento has a train station, but except for Palermo (about 2 hours away), connections to other destinations in Sicily are scarce. If you are arriving from Taormina or Catania, you will have to change trains once or twice. For train schedules, consult Trenitalia's website, or call their toll-free number: 89 20 21. The best way to arrive and depart to and from Agrigento is by bus, which leaves from the Piazza Rosselli station (Tourist Information +39.0922.20391). By plane: Palermo Airport (PMO) offers direct flights from all major Italian airports, and low-cost connections with European cities such as Amsterdam, Barcelona, Köln, London, and others. From the airport, the shuttle train "Trinacria Express" leaves about every half hour from Palermo Central Station, with many trains going to Agrigento (about a 2 hour trip). There is also a bus service which runs from the airport directly to Agrigento, operated by SAL (Phone: +39.0922.401360). An alternative is the International Airport of Catania (CTA) which offers connections with all the major Italian and European airports, including all the capital cities. SAIS Trasporti operates a bus service running directly from the airport to Agrigento (about a 2.5 hour trip).